Who doesn't like fried foods right? But who likes the mess that it makes when oil splatters everywhere...on your stove, countertop, along the backsplash, and even on your arms. With the Tramontina ProLine Splatter Screens (2 pack) from Costco, you can still enjoy frying foods but can reduce the amount of oil splatter that can result. 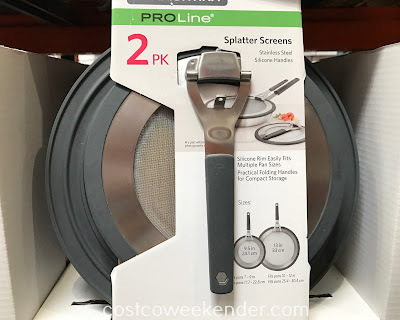 Even if you don't deep fry anything, sauteing vegetables or some chicken can still cause a mess that no one really wants to deal with after cooking. The Tramontina ProLine Splatter Screens is a cost-effective way of keeping your kitchen somewhat clean. And if that means I don't have to clean as often, then I'm all for it. Just purchased this product. It was on sale for $14.99. Just don't know if it is dishwasher safe? 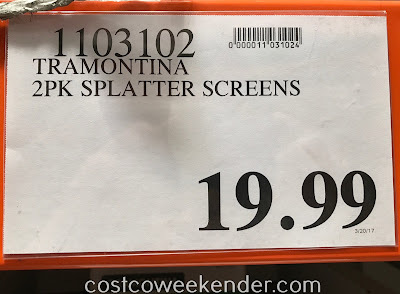 I guess you'll soon find out whether the Tramontina ProLine Splatter Screens that you got from Costco are dishwasher safe. I hope they are and they last you a long time. Let us know how it works out, @Unknown.